38 year old Independent candidate Matt Larkin is contesting his first general election. 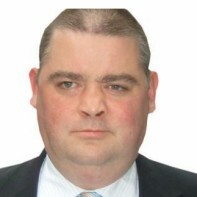 He unsuccessfully ran in the Limerick North local election in 2009. Larkin has stated that he will not be erecting campaign posters 'as the money is not there to be wasted'. Larkin accused former Minister of Defence Willie O'Dea of assaulting him in 2007. In 2008 Larkin was convicted of making a false statement regarding this matter, however in 2009 he won his appeal against the conviction for making a false statement.